Cyclones suffered their first defeat of the season in their third match against current league leaders Southampton Spartans. As expected from two teams aspiring to the regional title, the match was extremely close for most of the 60 minutes, with both teams over taking the other multiple times during the course of play. The first point of the game was a replay of Cyclones’ last game against Farnborough, with Matt Morgan sinking an early Penalty to put the home side ahead. A quick response by Spartans levelled the match before Izzy Knight scored a beautiful long shot, her first of the season, to swing the momentum back in Cardiff’s favour. Southampton Spartan’s are a team well known for the talent of their Players. 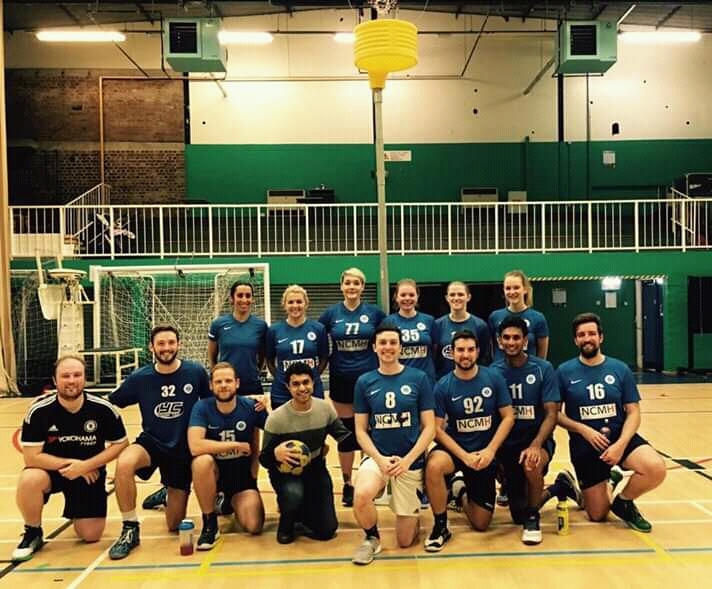 The likes of Lucy Buck, Tom Kelly, and Dinesh Yoganantham, who has in the past captained Southampton University to BUCs gold, had made the trip to Cardiff and their skill eventually showed, with the first half finishing 10-8 in their favour. Cardiff were far from beaten however. Cyclones’ own talisman, James Wilcox, scored four against an on form Osian Nixon and some tight defensive marking saw Liam Pattison poach a Spartan pass, which he popped to the incredibly athletic Matt Morgan who finished it calmly. Soon after play had recommenced City had taken the lead after three unanswered goals, forcing a time out from the travelling Spartans. Play recommenced and the two sides continued to trade goals, with Cyclones substitute Cat Miedziak scored two in a row in only her second game for Cardiff, adding to efforts from Alice Hunter and Ellie Johnston down the other end. Unfortunately, just as the tide appeared to be turning against Spartans disaster struck. An injury to one of Cardiff’s girls 15 minutes from time, hamstrung one of the divisions and some shuffling of players from the Spartans resulted in Ste Willows matching up against the by now, exhausted Morgan. Much like the young lion picking off the old, wounded wildebeest, the result wasn’t pretty. Goals did trickle through the Southampton defence from the likes of Paul Farnell and Liam Pattison, but the visitors kept up the onslaught and that combination of tiredness and injury saw Cardiff fall two goals behind. A Spartans time out with two minutes to play offered a chance for Cardiff to find a way back. When the match recommenced though it wasn’t enough to keep Cardiff’s hopes of victory alive and, seconds from the final whistle, Chloe Lebbern, a Cardiff University alumni, twisted the knife one last time with a fantastic longshot to put Spartans three goals up. A disappointing result for Cardiff City & Met who were hoping to win the home leg against a strong team, sees them remain 3rd in the League. Local rivals, Cardiff Raptors, creep up behind them to 4th, after the purples drew 19-19 away against Farnborough Jets – Wales international, Leo Comerford, bagging an 11 goal haul in an impressive individual performance. Elsewhere in the league, Oxford City match Spartans 100% record with another two points from their match up with Bristol University, and a tight contest between Bristol Thunder and Exeter results in a 14-14 draw.